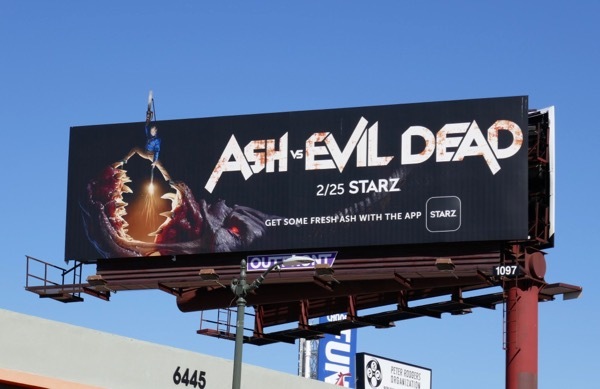 You'd think a man waving around his chainsaw hand would be enough to grab your attention, but when he's straddling the maw of a demonic Deadite creature he stands out even more. 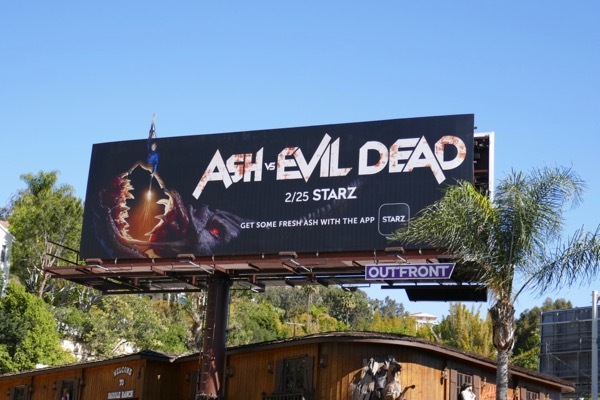 Bruce Campbell is back for more gory action as the aging 'Ash Williams' in his decades-long battle against the Deadites in the third season of Starz TV spin-off of the Evil Dead horror film franchise, and it looks like he's brought a friend. 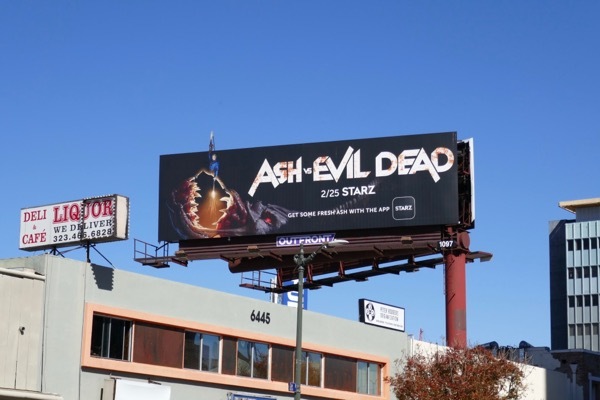 These fun season three cut-out extension billboards were spotted along the Sunset Strip on February 23, then later above Sunset Boulevard in Hollywood on March 5, 2018. 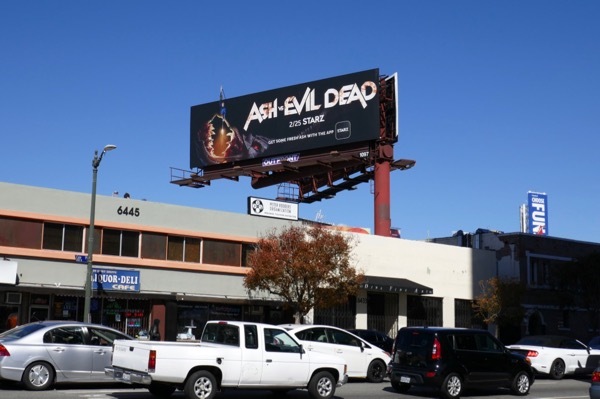 Fans of the fantasy horror TV series can also enjoy these previous season billboards for Ash vs Evil Dead. 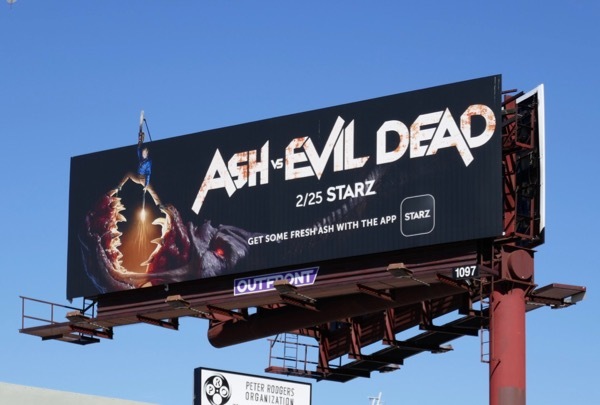 Expect more blood, brains and gore to fly in these all-new episodes and let's see if Ash and his plucky band live to fight another day and are renewed for a fourth season.